There are no victims here, only survivors. You are stronger than you could ever imagine and you have control over your thoughts and your life. Believing that you’re a victim is a trap. Buying into the notion that you have no control over your mindset or the direction of your life is a dangerous perspective that prevents growth and stifles success. You have far more power and influence than you may initially believe. Refuse to be victimized by your circumstances and reject the lie that you are a helpless victim. Never surrender your dreams to play a false role and don’t imprison yourself behind a suffocating illusion. 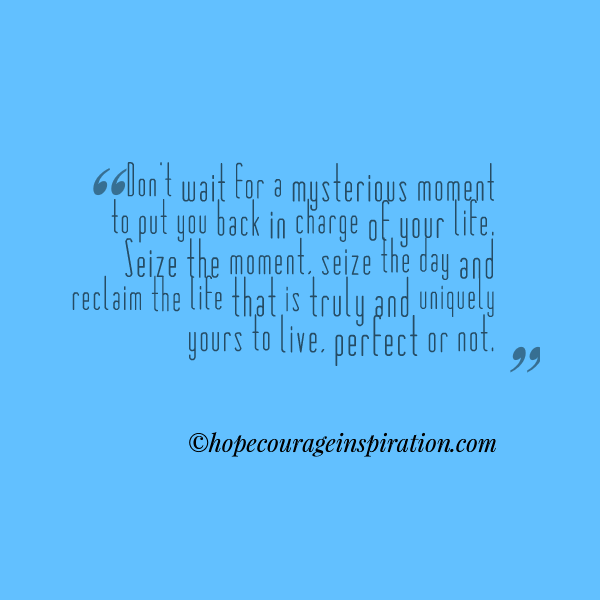 Don’t wait for a mysterious moment to put you back in charge of your life. Seize the moment, seize the day and reclaim the life that is truly and uniquely yours to live, perfect or not. Through pain and imperfections, vibrant beauty grows. Own your struggles, embrace your pain and accept this life as your very own. It is your path and it is like no other. There are no victims here, only survivors.